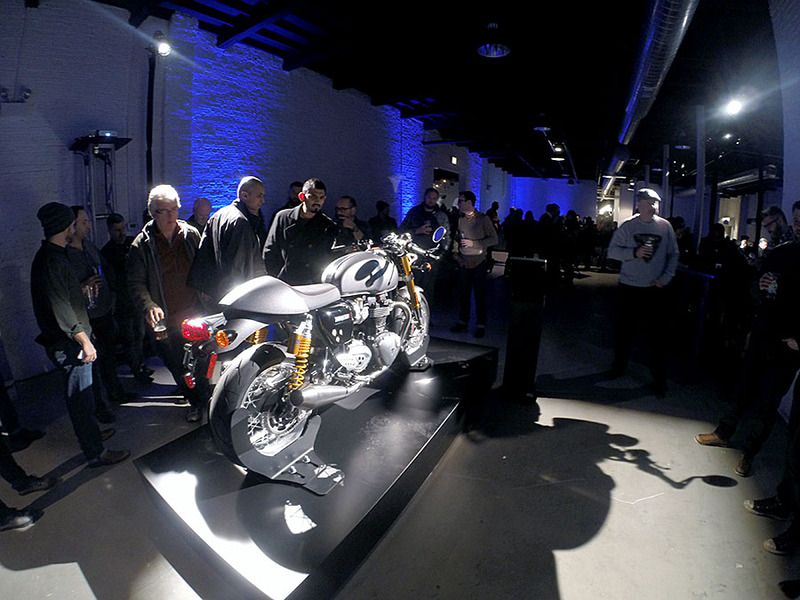 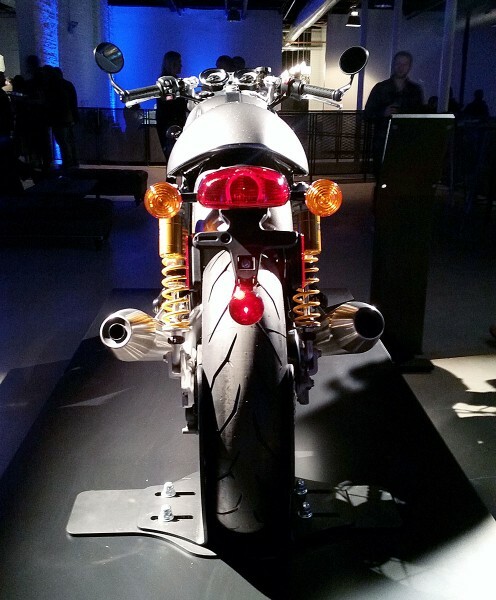 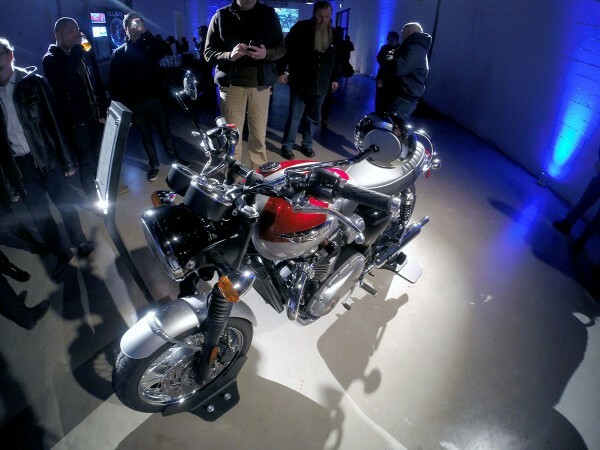 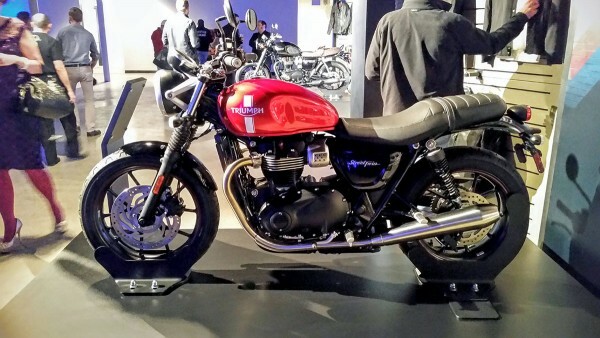 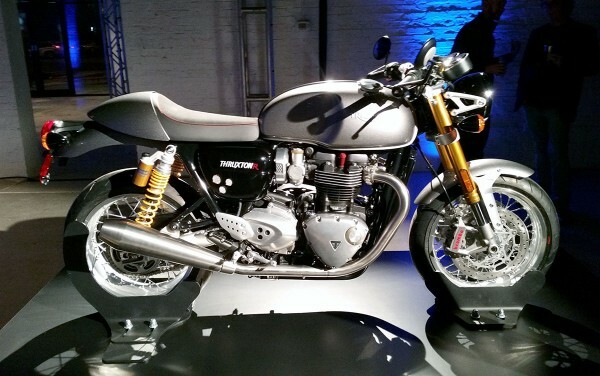 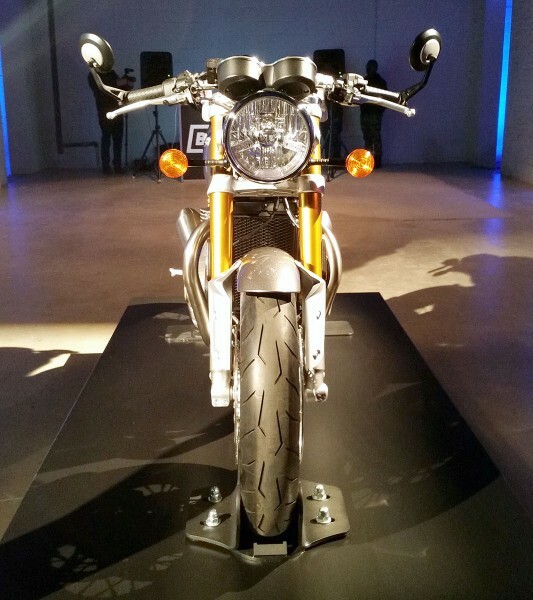 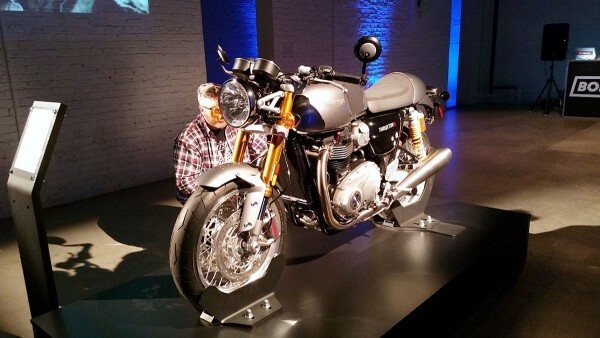 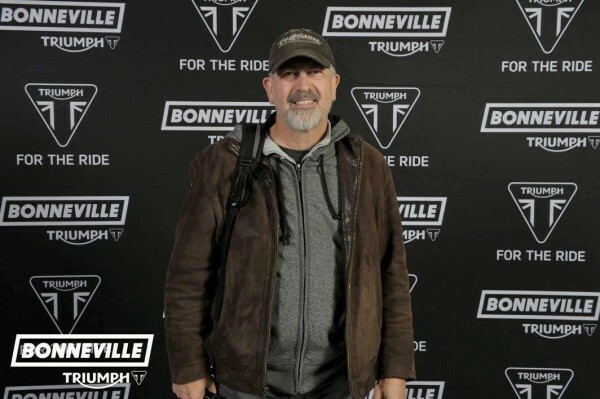 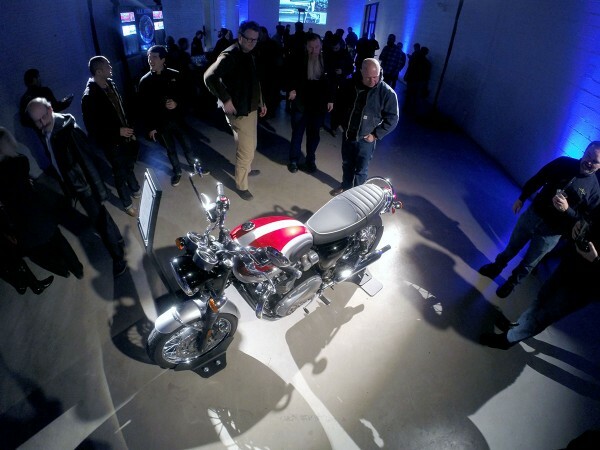 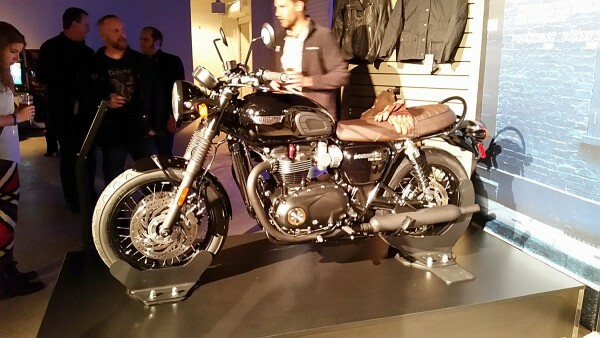 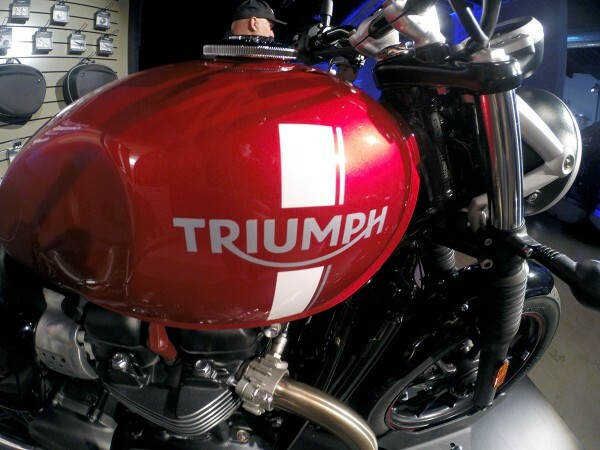 Last night I attended Triumph’s Chicago market unveiling of the new 2016 lineup of redesigned and reengineered Bonneville models for 2016. 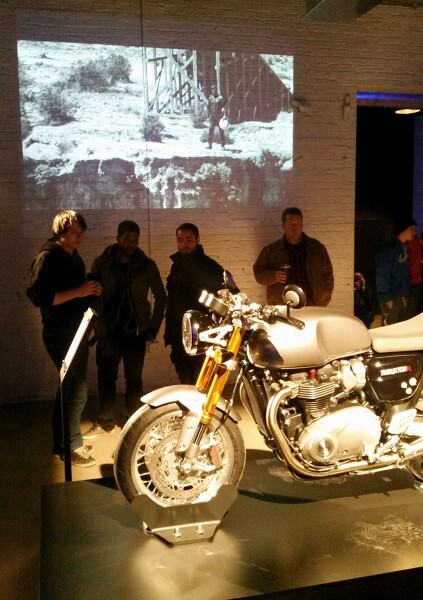 The event was held at Revel, 1215 West Fulton Market in Chicago. 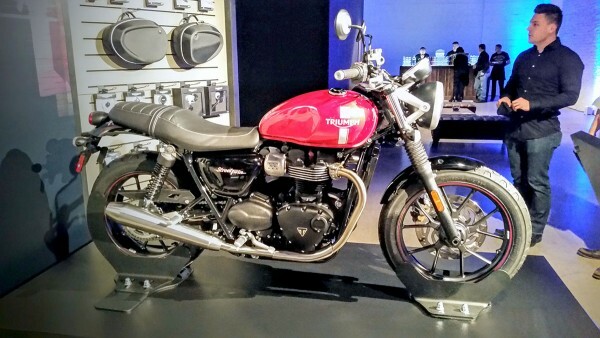 Here’s a short video of the venue with the 2016 models that were on display. 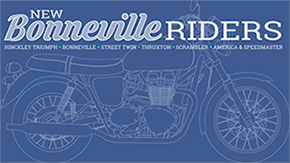 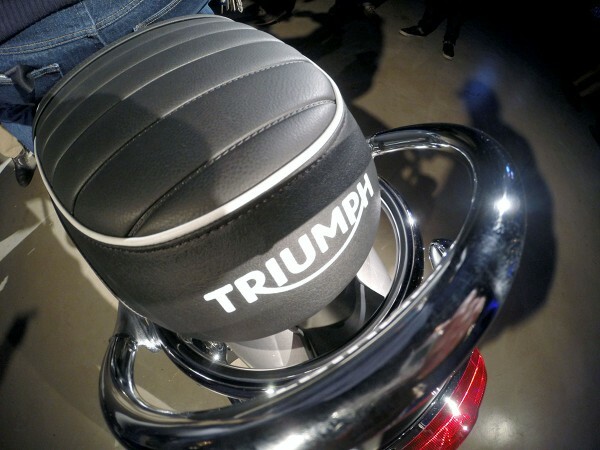 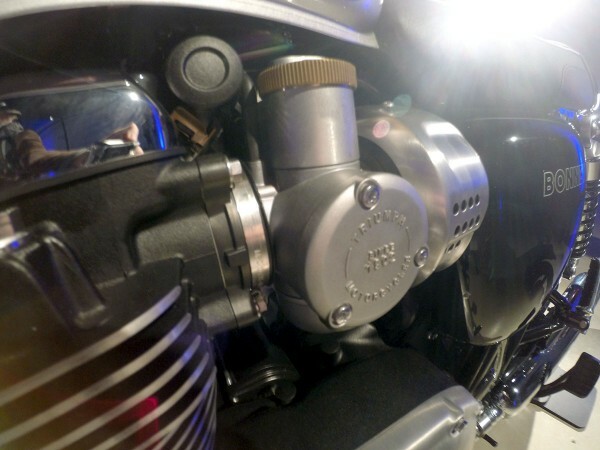 Shorter folks are going to appreciate the Triumph Bonneville Street Twins lower seat height! 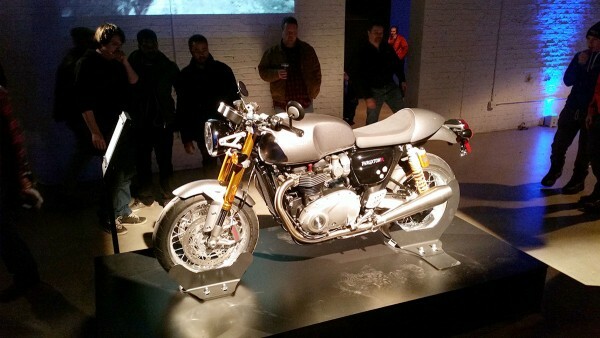 I had seen this model at Triumph headquarters in Atlanta a couple weeks ago, but this one had a brown custom seat. 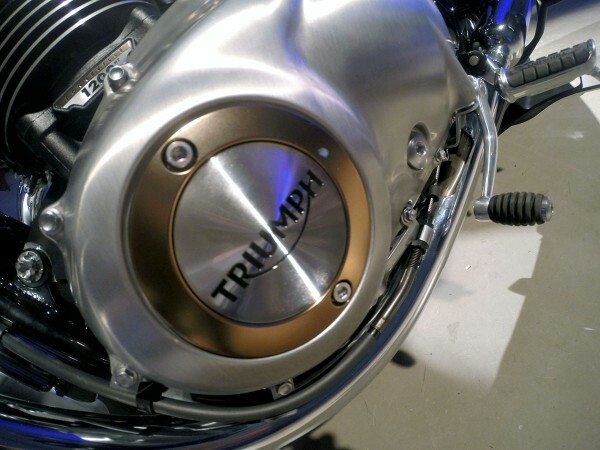 This one is the top of the line and will sell at $14,500. 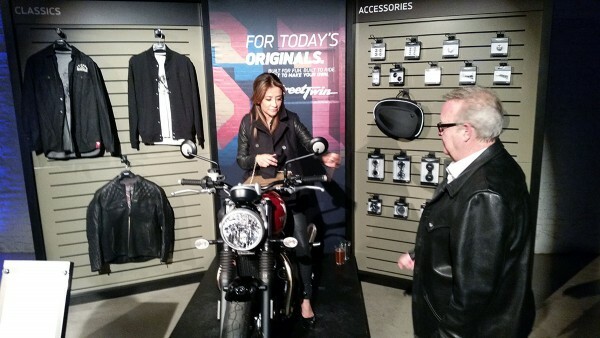 Just to prove I was there! 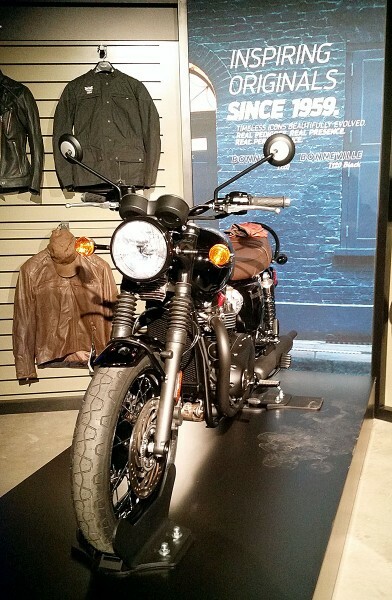 Photo courtesy of Triumph Motorcycles.